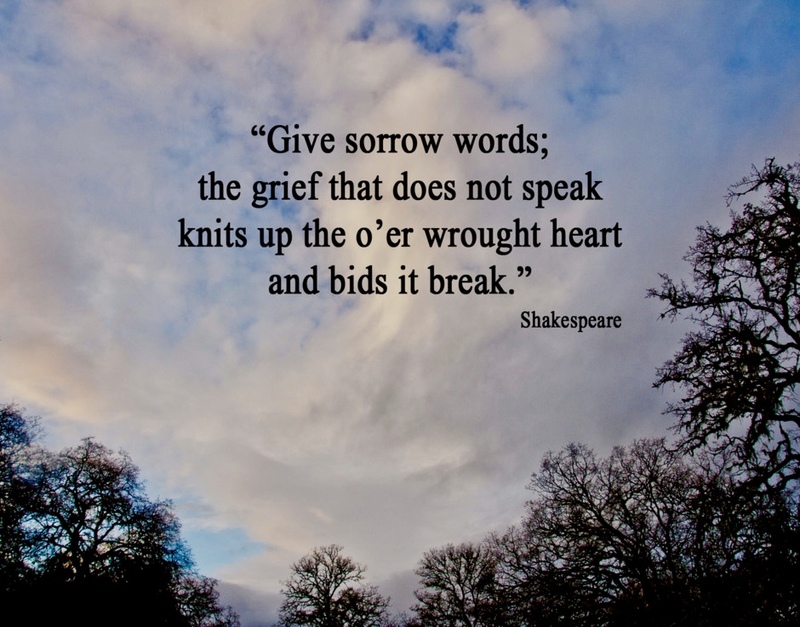 A while back, I purchased some books on grief for the purpose of reading them and writing reviews here on my site. But, I sort of got burned out reading books on grief, the project languished and accompanying books sat in a box. When I ran across the box recently, I decided it was time to delve back into this project. Since I hope to begin soon writing reviews on some of these books, I thought I would share my book review process. I’m old school when it comes to books and research articles – I like holding the actual, printed item in my hands as I read – and I mark up books and research articles as I read. I’ve always been one to make notes in the margins, underline and highlight things I think are important. (I think I got this from my dad; he notoriously wrote in his books and Bibles.) Keeping several pens beside me – several colors of gel or liquid ink pens and a highlighter or two – I make notes and highlight as I read. I think this process helps me maintain focus and also helps me find things later in the text. After gathering my pens, the first thing I do before reading a book on grief is to look at the copyright date. Then, as soon as I can find the date of the event that led to the writing of the book (death of a child or loved one, date of research performed, etc. ), I write that date beside the copyright date. That gives me an idea of the span of time between the two dates. I think this is especially important when writing about the death of a child. As most bereaved parents can tell you, there is a huge difference in perspective between year 1 and year 2, or year 2 and year 5. In my opinion, true perspective comes with time. I also make notes in the front of the book as to the author’s relationship to the topic of grief. Has the author experience the death of a child? Is the author a medical expert writing on the topic? Is this book a subject of research rather than one of walking the walk? Does the author make a valid, strong connection to the reality of walking the walk of grief that he/she is trying to address? The motivation and accurate understanding of the author is important when reading a book, especially as a bereaved parent trying to understand this difficulty walk. For example, I recently read a statement in a book about the percentage of couples who end up divorced following the death of a child. Since there was no supporting data, I did an internet research of peer-review articles on “divorce following death of a child” and printed off several that caught my interest. One article directly refuted the statement in the book, so I highlighted this portion of the article. Another article in a well-respected magazine compared the author’s experience of how her marriage was affected WHEN HER DOG DIED to a couple’s marriage survival following the death of their child. It was an astoundingly horrific comparison, in my opinion. No matter how much you love your dog, there is absolutely no basis of comparison to the death of a child. Quite honestly, I was so offended by the comparison that all I could do was rip the article to shreds in disgust. I think most parents who have lost a child would agree. The next thing I do is to look to see if there are any references listed in the back of the book. I think this is especially important when making strong statements. For example, if a book is going to a statement that 90% of couples who have a child die end up in divorce, I’d like to see the supporting research behind such a statement. References also give me further suggestions of books to read or articles to locate. As I read, I make notes in the margin, underline and highlight things that catch my attention – interesting items, things I agree with, things I disagree with, things I want to further research. I’ve been know to write a great big “NO” right on top of a paragraph that seems especially egregious to me. When I’m done reading the book, I’ll go back through and re-read what I underlined or highlighted and perhaps make further notes. If there are references or unsubstantiated statements, I’ll try to do some research on my own to see what the research source says or see if I can find some research on the unsubstantiated statements (either in support of or refuting the statements). I’ll also make note of any books mentioned that I might like to read. This has been a proven way for me whenever I’ve needed or wanted to read a book or article for a deeper purpose than pleasure reading – school, reviews, research, etc. And that’s it. That’s the process I will use when reviewing books on this site…in case you were curious and wanted to know. Easter just isn’t the same any more, not since Jason died. Growing up in the home of a pastor, we always celebrated Easter in a special way. New dresses, new shoes, special radio program prepared by the “Singing Knudson’s,” special music and message for church service. We, of course, did none of the Easter bunny stuff at all. It was all about celebrating the burial and resurrection of Jesus.